Summer is synonymous with barbecues, fireworks and all types of great grilled food. But what about giving it a different — albeit equally patriotic — twist? Here to feed us some delicious holiday ideas is chef, cookbook author and restaurateur Ryan Scott, who sidesteps your average hot dog and burger menu for something a lot more colorful ... and way more unexpected. 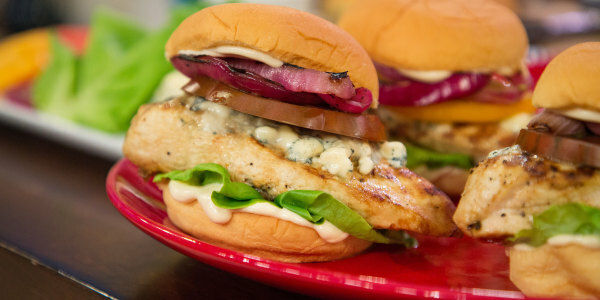 "I love to let the seasons dictate what I cook, and when I think spring, I think red, white and blue. I love walking through the produce market and getting inspired," Scott told Megyn Kelly TODAY. His libation of choice isn't a cold brew, but sangria, a Spanish punch that's usually made with red wine and chopped seasonal fruit. "A key to a great sangria is making the fruit the highlight but also making a simple syrup out of fruit. It's also always fun to add something exotic like elderflower liqueur, or rose water to truly step it up," he said. 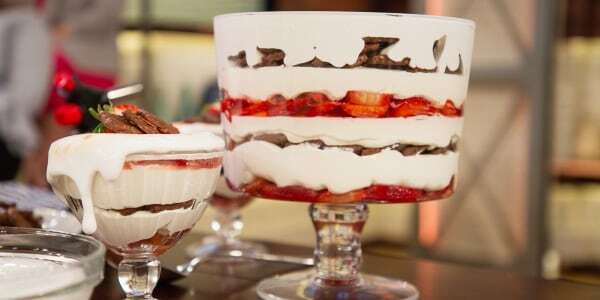 For dessert, Scott shares his twist on that all-American favorite, the strawberry shortcake. "My wife's favorite fruit is strawberries," he said. Without further ado, his recipes. "It's fun because it's a punch!" 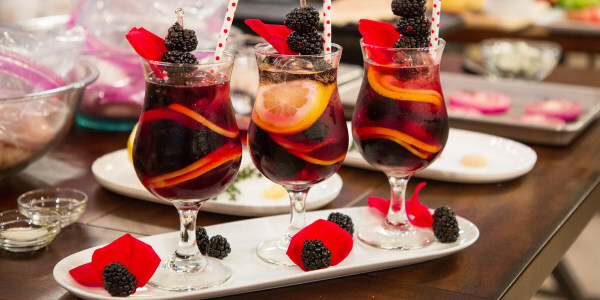 Scott says of this simple yet flavorful sangria. "This is my favorite because you're not taking temps for everyone's burgers." 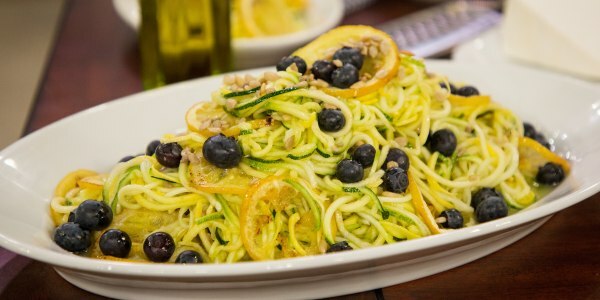 "It's a simple, fun twist on a classic vegetable, that can be store-bought." "Who doesn't love s'mores?" We don't disagree!